Eventually, Knut had a seizure and drowned at the age of four while facing an audience of hundreds. An autopsy revealed the cause of death to be encephalitis from an autoimmune disease. Despite Knut's diminishing cuteness (and thereby, marketability), the adolescent bear still had a following. The outpouring of grief turned vitriolic when the city’s Museum of Natural History presented to the Berliners a life-size sculpture wearing their beloved Knut’s pelt. A spokeswoman stressed its artistic and educational value. “It’s important to make clear we haven’t had Knut stuffed,” she tried to appease the public. Controversy surrounded Knut from the beginning. His caregiver Thomas Dörflein bathed, bottle-fed, played with, slept next to, put baby oil on, and strummed lullabies on his guitar for the cub when it came out from an incubator. Animal rights activists and even one zoo director thought it would be better to let the cub die or euthanize it rather than have it raised like a human infant, which would lead to neurosis or turn it into an outsider among the zoo’s other bears. People for the Ethical Treatment of Animals (PETA) therefore sued the zoo for “extreme animal mistreatment.” Thousands of Knut supporters in turn e-mailed and wrote letters to keep the cub alive and with its “foster dad.” Children protested in front of the zoo, which stayed the course. (Financial interests could have influenced the decision.) Knut’s first public appearance, like that of famous debutantes, was a media event, with hundreds of journalists from as far away as Uzbekistan vying to snap his picture. A bear of the digital era, Knut had his own blog with first-person entries in several languages and a webcam inside his enclosure. The celebration of his first birthday was broadcast live on German television. The media covered each facet of Knut’s existence as if he were royalty—from teething pains and a yen for croissants and hammocks to the alleged moment of his conception, caught by a zoo visitor on a blurred photo. The trim, bearded Dörflein, who simply by proximity or his paternal care attracted a female following of his own, commented on less endearing behavior shown by the nation’s sweetheart. He started to be threatening at a very early stage. Creeping up from behind and pouncing on his prey, he likes to do that with us” [the handlers]. Dörflein, to whom Berlin’s mayor awarded a medal, admitted ambivalent feelings about Knut, feelings familiar to any guardian of infants: “When he’s shat on everything and then bites me because he’s unsettled, it’s enough to blow a fuse sometimes.” A year later, animal welfare campaigners criticized the zoo again, this time for allowing Knut to kill and eat ten carp from the moat around his enclosure. Eventually, Knut had a seizure and drowned at the age of four while facing an audience of hundreds. An autopsy revealed the cause of death to be encephalitis from an autoimmune disease. Despite his diminishing cuteness (and thereby, marketability), the adolescent bear still had a following. The outpouring of grief turned vitriolic when the city’s Museum of Natural History presented to the Berliners a life-size sculpture wearing their beloved Knut’s pelt. A spokeswoman stressed its artistic and educational value. “It’s important to make clear we haven’t had Knut stuffed,” she tried to appease the public. Walt Disney’s documentary White Wilderness (1958)—known for its staged lemming “suicide” scenes—delighted Baby Boomers with a polar bear cub tumbling down an icy slope (also possibly staged), one of the earliest cinematic examples of exploiting the polar bear’s cuteness. The theme can be traced from that scene to the BBC’s 2011 mini-series Frozen Planet, narrated by Sir Richard Attenborough. Its episodes are structured along the seasonal round of polar bears, with a bombastic soundtrack and subtly anthropomorphized, with the requisite shots of bear cub antics. What further explains Knut’s hold on us? Biologists such as E.O. Wilson claim that an attraction to other life forms has lain embedded in our genes since animals shaped hominid nature on Africa’s steppes; hunter-gatherers acknowledge this debt with respect. Evolutionary psychologists also warn us that we neglect this relationship at the cost of societal dysfunction. To further complicate matters, this innate drive (“biophilia”) can manifest as the opposite: a dark urge, born of greed or fear, to abuse and eradicate our brethren-on-earth. Be they dachshunds or Komodo dragons, head lice or butterflies, cobras or Siamese cats—these others leave few people unmoved. 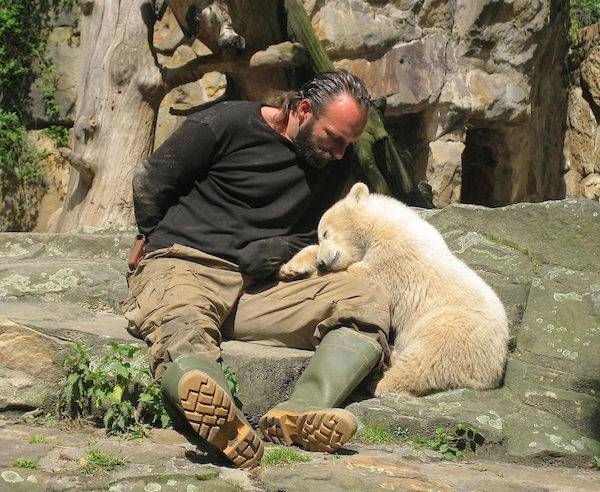 To understand how Knut and his kind came to live in our midst and our minds is to understand human nature. 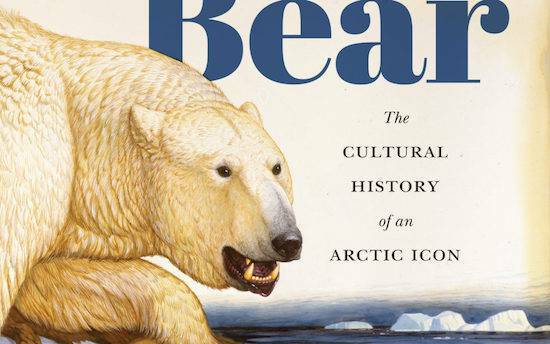 Michael Engelhard is the author of Ice Bear: The Cultural History of an Arctic Icon. He lives in Fairbanks, Alaska and works as a wilderness guide in the Arctic.